Aspasia S. Bissas, author of Love Lies Bleeding (2017) in York Cemetery, Toronto, 26 November 2017. Picture: Scott Morrison. It took me a while to pick this book up because I doubted if anyone could bring something new to this weather-beaten cliff of a sub-genre: vampire romance. Aspasía S. Bissas has achieved writing afresh about an angle of vampirism that sometimes is claimed to be over-written and over-read. Her words are original, lively, and have been reduced without turning the concept into a comic strip. 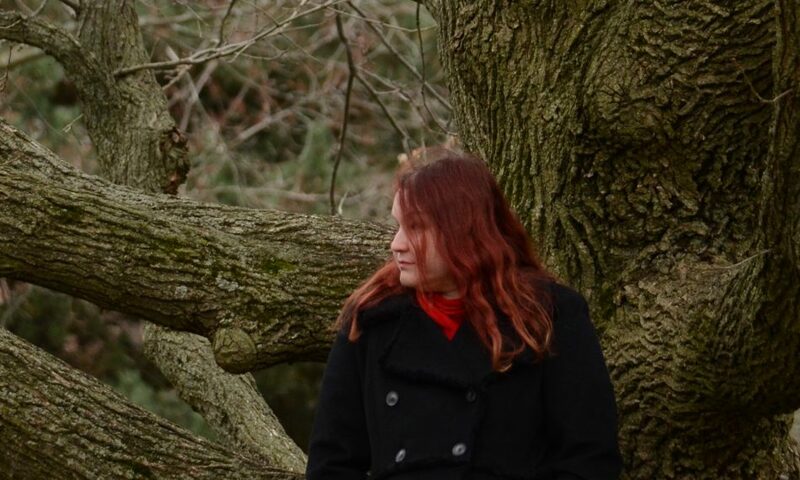 The author sorts her plot to suit the role-playing game, Vampire: The Masquerade, and creates story around her interesting interpretation of it without leaning towards the realm of Live Action Role-Play, or LARP, too often. At times the scaffolding of the plot becomes visible as Bissas attempts to deliver a vampiric novel with a love story blended in. Despite this, at no point is the romance too strong that it distracts the reader from what is a wonderful piece of storytelling where Lee and Mara’s relationship is strongest. Their trials and tribulations help carve the reader a path through the words of the novel. Artistic licence allows the author to play with her own set of vampire rules and customs. Her almost dystopian and matriarchal viewpoint allows romance to trickle through at its own pace, provoking an emotional response in some readers without making the writer seem overzealous about her chosen topics—the reader can choose to focus more on the war between vampire social classes or the love story throughout. Female protagonist Mara pulls the reader’s focus and allows them to get a real sense of social struggle, power, and 21-century feminism through themes of love, blood, and botanical science. But it’s not all about serious hidden messages—to come across playful dialogue and gorgeous sentence structures is a treat. This is written by somebody who knows how to create, and take part in, a story world. Bissas had more than one good day writing her novel. Yes, in the 340 pages of my copy Bissas captures her corner of the vampire sub-genre with unique creative style and puts it down effortlessly on paper for all to see. This is not just another book for the pile, or another “fresh layer of frost” for a snowman—this is abominably good. I rate this novel 7/10. At times Bissas’ discourse is as smooth as the jacket that holds her pages together, but the laser print job let me down. I’d read the sequel through tinted lenses. Read to the sound of heartbeats. 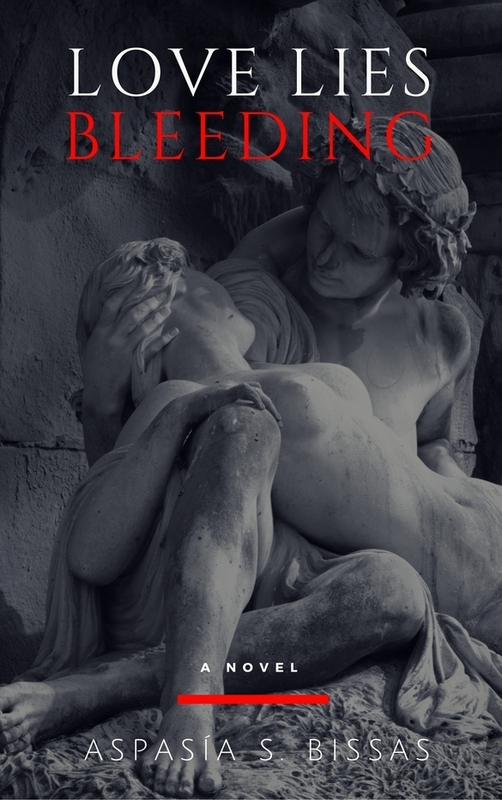 Love Lies Bleeding is available on Amazon in paperback and Kindle formats. Callum reviewed the second edition of Aspasía’s book: “The first edition came out in June. The paperback got redesigned in August, which resulted in a second edition (the story didn’t change at all).” (Aspasía S. Bissas, email message to Anthony Hogg, November 29, 2017). The book’s publication date has been taken from its Amazon listing. To keep up to date with Aspasía’s work, like her Facebook page or follow her on Twitter. She is “currently working on a second book (there will eventually be three)” in the series (Bissas, email message to Anthony Hogg). From a small fishing town in Kent, England is where Callum raises words from the dead. Vampires are his life… Along with his fiancée and daughter, of course.